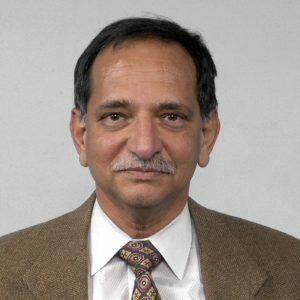 Nilesh C. Chokshi has been the Chief of the Operating Experience Risk Analysis Branch in the Office of Nuclear Regulatory Research (RES) since November 2004. Prior to that, he was Chief of the Materials Engineering Branch. He has been at the NRC for about 25 years and has held various technical and management positions in the areas of structural/seismic engineering and probabilistic risk assessments at both the Office of Nuclear Reactor Regulation and Research. Prior to joining the NRC, Dr. Chokshi worked at an architectural/engineering firm involved in design of nuclear power plants. Dr. Chokshi obtained his Ph. D. in the field of structural engineering from Rice University and Master’s degree from University of Michigan.